Residential Design projects range from $1,000 to $5,000. Residential Construction project costs range from $5,000 to $500,000. 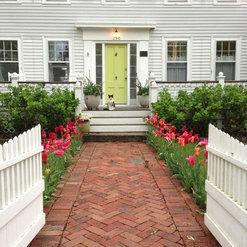 3 x Best of Houzz Winner! 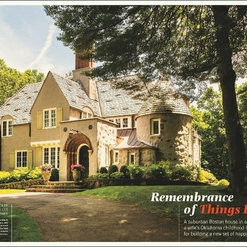 Jean Brooks Landscapes has been published in Architectural Digest, Boston Magazine, Architecture Leaders Today, New England Home, and This Old House Magazine. Our work has been recognized by the Massachusetts Horticultural Society for innovation in both urban and children's garden design. As first-time homeowners, we knew we wanted a beautiful landscape but weren't entirely sure how it was going to turn out or how to approach it. 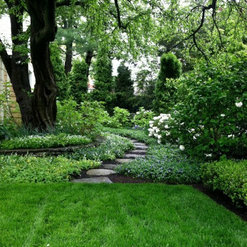 Jean Brooks Landscapes was so incredibly accommodating and professional through the entire process. From the onset the design was perfect we loved everything we saw and wondered if it really could all be done with our budget. Sure enough, Jean and her team took excellent care of our space and turned it into our favorite part of the house! We are so thankful and appreciative and highly recommend Jean to anyone looking for a beautiful yard! 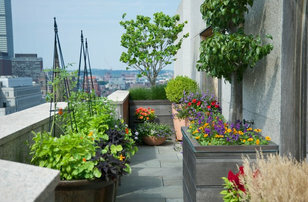 Jean Brooks Landscapes was recommended to us by our contractor when renovating our Beacon Hill home and Rooftop. Jean and her team were highly professional, creative and easy to work with throughout the entire process. 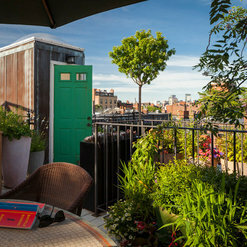 She was exceptional in organizing and coordinating with the contractor the difficult task of bringing all the furniture, plant material and planters to the rooftop by crane. We now have an amazing, comfortable, casual, outdoor space that suits all our needs for entertaining family and friends. We can't thank them enough. 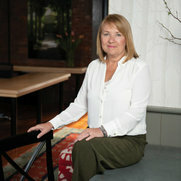 Every single day, Jean Brooks and her fantastic staff work to make their clients' world more beautiful. As a marketing professional, I have learned a lot about their business over 10 years and have seen them apply their deep knowledge of the art and science of landscaping to every project, small or large, with joy, imagination, integrity and humor. Plus, they listen. 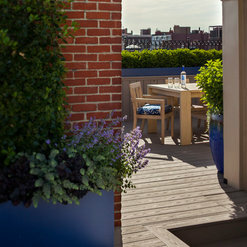 Jean Brooks designed our planters, helped us select the furniture, and made a lovely room on the deck of a 26th floor condo in downtown Boston. We have beautiful plantings every season, and the team picks perfect colors with a combination of perennials and annuals that bloom all season long. They maintain and keep up the planters and the pots, and it always looks beautiful. We are surrounded by beauty all year long! Thanks to you all. I couldn’t have been more pleased with the work Jean and her crew did at our summer home in Wellfleet. Incredible team and outstanding designers. 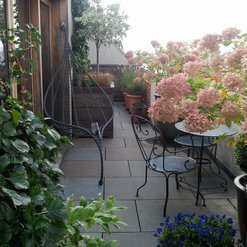 Mary Ellen came up with a very creative and beautiful design for my urban outdoor space. The company, under Samantha, has continued to maintain the garden and have worked with me to replace or augment some plantings. The work is always beautifully done. I especially appreciate the excellent communication I get from the company regarding issues and scheduled visits. I would recommend this company highly. The Jean Brooks Landscapes team is outstanding, from design to installation to maintenance. They totally know what they are doing, have a great sense of design, and also were quite responsive to our needs as homeowners for our yard/garden. The results are beautiful and a perfect match for our old house in a fairly dense urban neighborhood. We are enjoying the new design and the new plantings very much. The people at Jean Brooks are creative, professional, honest and friendly-- total pros. We happily recommend them. When the team of JBL comes to Work their magic something incredible takes place! Precision and placement and the passion that each member invests into their work shows in every flower, every hedge and bush and every stunning display they build! Wether it be a large modern floral pot or a garden of explosive bursts of color, it’s always spectacular!! I’ve been a client of theirs for a long time and no one has a more beautiful oasis then i do because of their team! 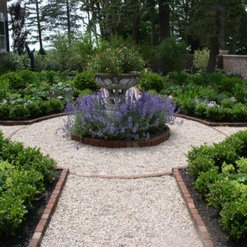 We are a landscape, masonry and site construction company working in eastern Massachusetts. We have been working with Jean Brooks and her skilled staff for ten years.. Jean is not only a talented designer but also a fine collaborator. When faced with an on site challenge, Jean manages to identify the problem and offer a solution with a calming effect. Her professionalism and intelligence are invaluable on the project! We completed a large landscaping project with Jean Brook Landscapes last year and could not have been more pleased with our experience. We live in a historic victorian home in the Boston area, and recently purchased the property adjacent to ours which has an old barn on it that had been converted into a carriage house. After the purchase we wanted to do some landscaping to improve the look of the barn lot and make the properties look more cohesive. It was a challenging project to tackle because the properties, when combined, are a bit oddly shaped, there are significant changes in the grade, and throughout the properties there are several rock walls that needed to be incorporated into the design. Jean and her team did an amazing job creating a plan that made everything look as if it had always belonged together. Although there are still distinct areas, they now have a more consistent look and seem to flow together much better. The project included extensive site prep, updates and additions to hardscaping and irrigation, and landscaping that included several new trees, shrubs, and ground cover. Jean and her design staff helped us select beautiful, unique, and often native plantings that not only help give us privacy, but also look beautiful year round. In addition, they thoughtfully incorporated several existing plantings we already had. We felt as if the designers had a good understanding of our aesthetic, and that they were able to make the new additions fit well with the look of the existing landscaping. Two of my favorite elements of the design include a kitchen garden they planted in an old stone foundation, and a cut flower garden just outside our kitchen window. The mix of plantings is both beautiful and functional, and it was such a joy to look outside the window this past summer to see bees happily buzzing around the blooms. We had always enjoyed the outdoor spaces around our house, but the updates that Jean and her team incorporated made them even more attractive and livable. I keep joking that my new favorite room in our house is the patio that has now been beautifully shielded by a row of very handsome hornbeam trees. (A tree I had never heard of before but now might be one of my favorites.) I was also very impressed with the expertise of her irrigation and construction managers. The irrigation system they installed was very carefully designed and has a highly sophisticated sensors that make it very water efficient. And her construction manager has an extensive engineering background which gave me confidence that the changes they made to the grade of our driveway wouldn’t result in a flood in our basement. To top it off, the crew that installed everything was always very professional and friendly, and a pleasure to have around the yard. They were so patient with my ongoing list of questions, and though I was excited to have the project finished, I sort of missed having them around when it was done. 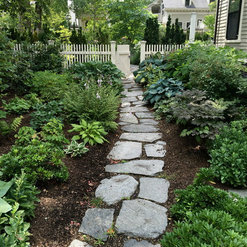 I would highly recommend Jean Brooks to anyone considering a small or large landscaping project. 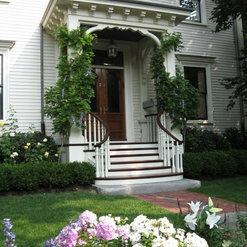 They truly live up to their reputation as one of the premier landscaping companies in the Boston area. Over the course of the last 10 years plus, it has been my pleasure to work with Jean Brooks and her staff on many occasions, designing and engineering garden structures as specified in their landscape concepts. Jean's imagination and sense of style have often resulted in interesting and creative solutions to difficult urban landscaping problems. It is always enjoyable to work with professionals who are concerned with the details, right through completion. Commented: Love the chairsHi Michelle, aren't those chairs awesome! 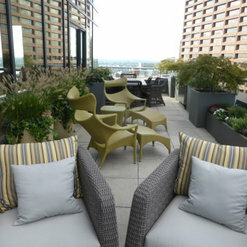 They were purchased from JANUS et Cie at the Boston Design Center. Commented: Beautiful fence! Is it stained? If so, what color? Thanks!Thank you! It is unstained cedar. With time it just grays out.